Insight: Does your brand travel well? 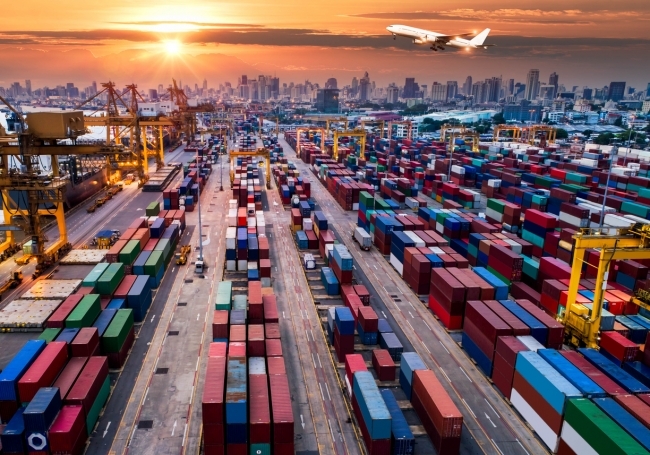 Back in August last year, the Department of International Trade (DIT) published an ‘Export Strategy’, setting out how it plans to support businesses of all sizes, to make the most of opportunities presented by international markets. The objective: to raise exports as a proportion of the UK’s GDP from 30% to 35%. According to Liam Fox MP, Secretary of State for International Trade, global trade is growing and represents a world of opportunity for UK exporters. He cites that approximately 90% of global economic growth is expected to be generated outside the EU in the next 10 to 15 years. No doubt encouraging UK businesses to explore global exports, find new markets, and structure trade deals with countries outside of the EU, is part of the Government’s financial and strategic planning for the country post Brexit. What business leaders and entrepreneurs need to think about – and what the DIT are not advising upon – is how their brand will sit and be received in a new market. Exporting is certainly a fantastic way to rapidly expand a business to an uncapped audience, however before ‘dipping a toe’ into the water, it is critical to determine the choice and availability of branding, and undertake relevant checks and searches to ensure that it is free to use in any target country. Trade mark rights are territorial, and it cannot be assumed that because registered rights have been secured in the UK, these will provide any protection, defence or enforcement rights in other countries. It is not unheard of for businesses to brand up thousands of products ready for export, only to find out they can’t be sold in the country where they are to be marketed. In the same way, a business can initiate an expensive marketing campaign, only to find themselves met with an injunction for trade mark infringement even before their products have been unpacked. In other cases, companies have spent several months setting up and securing a distribution partner, and ultimately found out that they can’t send them any products. To avoid costly mistakes such as these, it is important to start your local checks and searches as soon as you start exploring the potential for operating in a new country. Look ahead, so that when you launch, your trade mark registrations are already in place or at least pending, to support your marketing strategy. For those companies who continue to focus their energy on the EU as a future trading partner, we also have a word of warning. Up until now, UK businesses have enjoyed a relaxed entitlement to protection across the current 28 countries of the European Union by way of owning an EUTM registration. Businesses and brand owners who are predominantly focused on the UK market, have secured protection for an EUTM because it has been perceived as being ‘good value’, even though they have no serious intent to trade in the EU (beyond the UK). This is set to change. Fundamental to the validity of any trade mark is the rule ‘use it or lose it!’ Put simply, UK companies currently maintain their EUTM registrations because by virtue of the UK being a member of the EU, their use of a trade mark in the UK is perceived to be used in Europe. When Brexit finally occurs this will change. The UK will not be in the EU, and companies which only operate in the UK will cease to be seen as using their trade mark in the EU. After five years from grant, their EUTM registration will be vulnerable to a challenge for ‘non-use’ by competing companies, and the registered right could be lost. The consequences of Brexit will, of course, work in reverse for holders of an EUTM registration where the owners are based and operate outside the UK. Their EUTM registration will be cloned to create a separate UK national trade mark registration, but this will become vulnerable to an attack for non-use, if the EU-based owner does not actually use their Mark in the UK for a five-year period. What does this mean to businesses and brand owners? Look ahead. Think about where you may wish to extend your sales and marketing to, and ensure that you are not barred from entering that marketplace by a third-party owning conflicting trade mark rights that will restrict or prevent your launch or continued use. Trade marks must be used for a registration to remain valid and relied upon for enforcement. This has always been the case, and generally the period of ‘non-use’ where a registration will become ‘vulnerable’ to attack is 5 years from grant or any 5-year period, although in some countries it is only 3 years. One of the impacts of Brexit is that the ‘non-use’ rule will extend to affect UK and EUTM registrations as described above. Use in the UK will not be considered to be use in the European Union, and vice versa. Whatever your plans for export, come and talk to us. As experts in leveraging the value in your brand, we can offer you strategic advice on how to approach new markets in both the EU and rest of the world. We will ensure that your trade marks are in order, and make sure you become part of the UK’s success story.